Samsung Electronics Co., the world's biggest smartphone maker, joined on Thursday a growing list of companies that are promising to increase their use of solar and other renewable energy to help curb global warming. 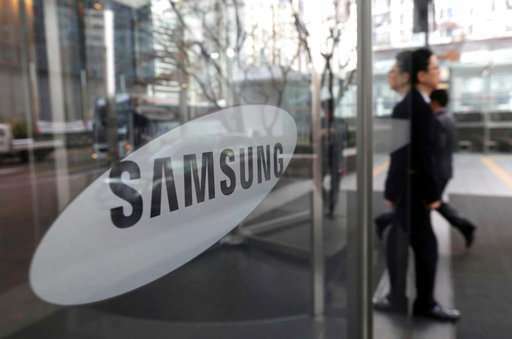 Samsung, part of South Korea's biggest corporate group, is the first Asian electronics manufacturer to join a movement spearheaded by Apple Inc. and other Silicon Valley companies. The South Korean tech giant said it would use more renewable energy at factories and other operations in the United States, Europe and China but still would rely on local power grids that use fossil fuels and, to compensate for that, would buy credits from outside renewable energy suppliers. The company said it had not determined which providers it might use. Other companies that have joined the renewable energy pledge, dubbed RE 100, include automakers General Motors Co. and BMW AG and a handful of other manufacturers. Most are in less energy-intensive technology and service industries. The maker of Galaxy smartphones faces bigger challenges due to its vast factory network in more than 30 countries, while many of the Silicon Valley names on the list rely on outside contractors for manufacturing. "Samsung's commitment represents a big step forward in reducing the impact that our technology is having on the planet," the environmental group Greenpeace said in a statement. Activists began pressing Samsung a year ago to set a renewable energy target. The company faced growing pressure from clients for its manufacturing services, some of whom had called on their suppliers to make a similar commitment. Apple, a major customer for Samsung's chips and display panels, said in April it would push its supply chain to switch to renewable energy. Samsung gave no renewable energy target for facilities in its home country of South Korea, where about three quarters of the energy comes from coal and nuclear power. It also declined to give a target for Vietnam, which has become its largest manufacturing base for smartphones. Samsung, also a major producer of computer chips, said its plans include installing 42,000 square meters (450,000 square feet) of solar panels this year at its headquarters in Suwon, South Korea, and two other cities where it operates major semiconductor plants. The effect of that would be largely symbolic because the portion of renewable energy in Samsung's South Korean business still would be minimal. South Korea gets 6 percent of its energy from renewable sources. The government aims to increase that to 20 percent by 2030.